SEO copywriting is all about creating high-quality and optimized content for the website visitors as well as for the search engines. It’s an excellent way to drive free traffic to your website and keep your users happy at the same time. Even though SEO and copywriting are two fairly different fields, in today’s digital marketing world they are very much dependent on each other. If you have in-depth knowledge about SEO, you know the tricks how to bring a website at the first page in search engines. If you know well about copywriting, you can create better content for your website. But, if you can do both SEO and copywriting well, that’s when you really hit your stride. Today, I will discover 9 effective SEO copywriting secrets to significantly boost your website’s ranking and ultimately that will drive more traffic to your website. Your articles may be valuable, but if the headlines aren’t compelling, then your click through rate (CTR) will be low. Your headline is the first thing people will see in search engine result page. And, it’s your chance to grab the visitor’s attention and get them click by using catchy headlines. Now, the question is how to craft a catchy headline? Well, here I am going to explain how to create a compelling headline. A great headline usually starts with numbers. 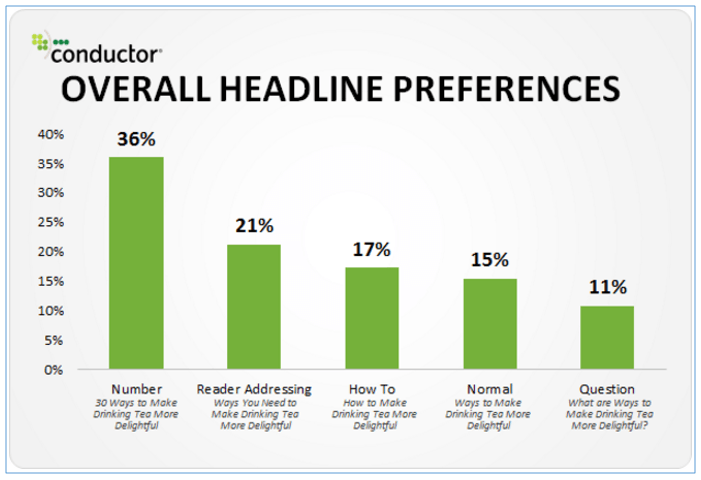 A study discovered that, people prefer more the headlines start with numbers. For example, ‘9 Effective SEO Copywriting Secrets That Will Drive More Traffic’ is more attractive and far better than a lame ‘SEO Copywriting Secrets for you’. Furthermore, the inclusion of targeted keywords in the headline is also important as it helps people as well as search engines to understand what your content is about. Having a catchy title means more clicks. The increased click through rate sends a signal to search engines that people like your content or article and as a result you web page will get the boost in ranking. Meta description is a summary of your web page, and it appears below the headline in the search engine result page. Meta descriptions help search engines and searchers to understand what your page is about. If the Meta description matches with the keywords people search for in search engines, then that particular page will come up at the top in the search engine result page. For SEO purposes, the Meta descriptions should be no longer than 160 characters, and you should incorporate your targeted keywords into the Meta descriptions. Remember, if you don’t add a Meta description of your own the search engine will automatically generate one for you, which may or may not be a good thing, and at the same time you losing a great opportunity for adding your targeted keywords. 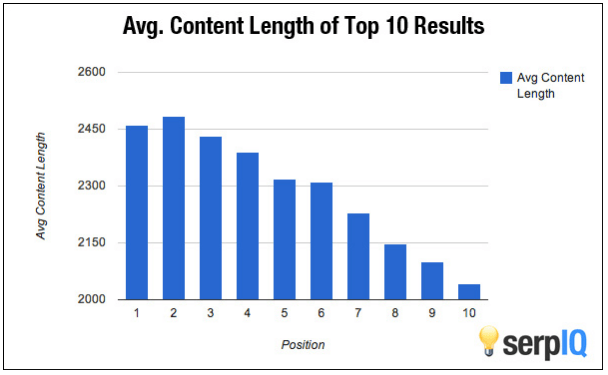 Content length does matter when you talk about ranking. A study by serpIQ revealed that, top ranking pages for many keywords on Google have more than 2,000 words. One of the common questions people (especially beginners to blogging) ask about content is: how many words should I write for each article? I have been blogging for many years and from my personal experience what I found is that top quality content that is above 1500 words performs better and gets the rank quickly. Once again, I am reminding here don’t just count the words; you also need to maintain the quality of your content. 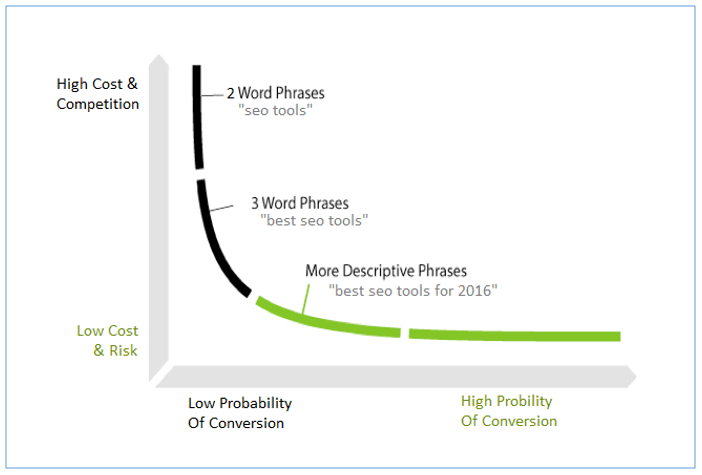 A long tail keyword generally will have four words or even more. When you write the content for your website, don’t just focus on short tail keywords and something that is common because certainly a thousand or more people have already created the content about this! Even if you write a great article about a high competitive keyword, the chances of ranking for that keyword are very low. Let me explain this with a real example. Let’s think you want to write an article about “seo tools”. If you check this in a keyword tool, you will see this term has a lot of searches and very high competition. If instead of “seo tools” you choose to write about “best seo tools for 2016”, then there is less competition for you to get one of the top positions. Another biggest advantage of focusing on long tail keywords is people who find your website by searching long tail keywords is more likely to purchase your product or service. Keywords are simply the words your audience use when they’re searching on search engines about your topic. Using the targeted keywords in writing is important for better ranking. But, the most essential part is placing the keywords in the right places. But, you’re probably wondering: So where should you use your keywords? Well, here I’m going to make it easy for you. LSI keywords are synonyms of your main keyword that helps to make your content free of over-optimization of keywords and look natural. If you use the same keyword many times, search engines such as Google will penalize your website for high keyword density and over-optimization. Using LSI keywords is probably the best solution to that problem. To generate the LSI keywords for your targeted keywords, you may use Übersuggest. This tool is free to use and generates tons of related words for your keywords. You just need to make sure that, you use these phrases or words in appropriate places throughout your entire article. Attracting links from well-known websites is the number one thing you’re going after when it comes to SEO. You have to create compelling content in order to achieve this goal. Search engines analyze the links coming to your site, and those links become votes toward your authority and credibility. A link from Forbes will be worth more than one hundred links coming in from websites with no authority. The visual look of an article is almost as important as the article itself. By adding high-quality images, you can make the article appealing to the audience, and it keeps the interest flowing throughout the article. People respond better to Images than words. Aside from the obvious aesthetics of adding images, they can also give you an extra SEO boost. For instance, incorporating the keywords of an article into the file name is an excellent idea. Also, inserting keywords in the alt text is a best practice for both users and search engines. Page links tells search engines that you’re sociable and connected. Search engines like links because people can access somewhere else through your content. The links could be your own, or it could be from another site. Internal links are most useful for spreading link juice and establishing site architecture. Internal links also improve the reading experience. I have discovered here top 9 SEO copywriting secrets that I use while writing any article. Now, it’s your turn to put these SEO copywriting tips in your practices for higher search engine rankings and to drive maximum traffic in your website. Jabed Hasan is a Content Marketing Manager at Mountnow. He is passionate about writing and love to write on SEO, CRO, Growth Hacking and Online Marketing Strategies. You can follow him on Twitter and LinkedIn. SEO is an important aspect to build a better blog. Adding the images can improve the post. Even you can generate the sitemap of the images using a few plugins which can help you to get more exposure through images. The heading of a blog post decides the maxim number of hits. 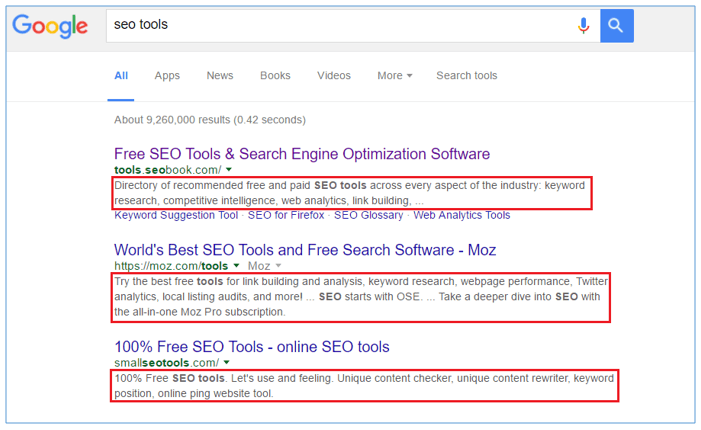 Using the long tail keyword can always be an SEO booster. Relevant images certainly attract most of the visitors.Don”.t forget to Alt.text the images that you used in our content. Focusing long tail keywords, can increase you conversion if you get some backlinks on it. Thanks for your contribution, Jabed. That was a really interesting contribution to deliver value to NoPassiveIncome readers. This is true that eye catchy titles are very much important to attract your reader eyes. No matter how much great content you write, If your post title isn’t attracting the readers eyes then you will not get what you will expect. Having an attractive or we can say click bait titles are must as It helps in increasing click through rate. Just after post titles, Meta description has very much important role in driving traffic from search engines. So using these things effectively can immensely increase the blog traffic. I am glad that you have covered everything here. Thanks for sharing it with us. Thanks for reading this article. Yes I strongly agree with you that the title and meta description has to be properly optimized for SEO purpose as well as for CTR..
Do add some copyright words in meta description and I’m sure you will get more clicks. I use Yorocket plugin from Backlinko and it works good. I can see few of my posts optimized with copyright words getting picked by knowledge graph results. Thanks for sharing your opinion. I never used Yorocket plugin. However, i will take a look. Thanks again for reading. We should be conscious of placing appropriate keywords throughout every aspect of our site – our titles, content, URLs, and image names. We need to think about our keywords as search terms, how would someone looking for information on this topic search for it. It’s important for every webmaster their website should be responsive for every browser and compatible with all devices because people can visit our website from anything maybe it can be mobile, tablet, desktop pc, or laptop so make sure of our website should be responsive with all browsers and compatible with all devices. People expect some unique stuff that is different from every blog if we will successful in providing unique content or unique product that is different from the others our blog or product will grow up automatically. There is probably no more basic strategy for SEO than the integration of internal links to our site it is an easy way to boost traffic to individual pages, we should make it standard to link back to our archives frequently when creating new content. Social media signals are too much important for SEO. We need to engage our audience on social media group or page as well be friendly with them. A CEO blog is just one element of social media distribution an important SEO strategy according to SEO consult. Eventually, thanks for your great support with your wealthy informative post. Thank you for sharing your SEO copywriting secrets. Long tail keywords and LSI keywords definitely work in great way when optimized properly with the length of the content and catchy headlines. I like long-tail keywords too, Gaurav. All your tips on SEO copywriting secrets are bang on, paying attention to long tail keywords and great for people finding you. Another thing that I like to use is other related keywords to the main keyword that is part of the blog post. Great post Jabed. SEO copywriting is an important primary aspect of writing content rest all are secondary. Thanks for sharing😁. When I land on different Blog sites, it appears that far too many people do not understand the power of arresting headlines. That’s sad, because without an arresting head line that draws a site visitor in, I doubt a Blog post gets read or engaged with. I agree with you, that Blogs whose headlines contains numbers have been noted to get more engagement. What really surprised me is that ‘Odd’ numbers (like ‘9’ used in your example) seem to get better engagement than even numbers. Just Google for Hubspot’s Blog topic generator. Its a tool that a lot of Bloggers find quite helpful. Off late I’ve noticed Google tends to ignore Meta Description and choose some content from within the Blog post itself as the description it displays under its SERP URL. More often than not, this happens if the content given in Meta Description by the Blogger does not match properly with the Post content. Unfortunately, the desire to click the link within a SERP is triggered by the seeker reading and figuring out that the description resonates with them. Hence, what’s loaded into Meta Description becomes pretty important for driving traffic to your site. Loved the images you’ve inserted. They are so helpful in understanding what you are saying. Google does appreciate Blog posts with more than 1500 words compared to the 300 word Blog posts of the past. These type of Blog posts have a lot of great content that adds value to the reader, exactly like this Blog post does. Thanks a ton for a well research and succinct Blog post Jabed, which covers an important topic like Effective SEO copywriting. Really appreciate this post. Hai Jabed, from the 9 SEO copywriting I am aware with 8 of them, but only one thing which gives more boost is “Incorporate some links”. really that help me a lot. Thank’s for your nice info, Brother. PS: Long content also helps us a lot only reason is Google changes algo every day, so many of my sites rankings getting down, Finally, I did one thing I constantly update my content and improves it’s the matter, after doing those I am getting my ranks back. This is an awesome post with lots of points one need to keep in mind for improving quality back link. thanks for this article.